My boys recently had the opportunity to test out two of Hasbro’s latest toys. My 4-year-old is a HUGE fan of all things Marvel and Hasbro has a division of Marvel toys that were right up his alley. My son was over the moon when his Spider-Man Stuntacular Speed Loop Set arrived. 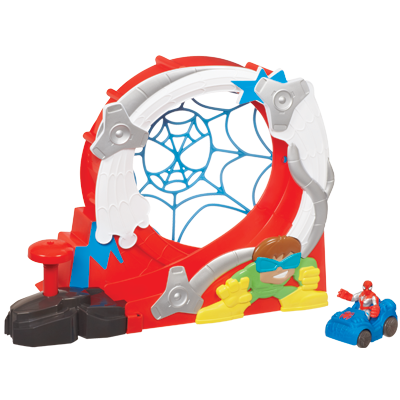 With the push of a button, Spider-Man and his car go through a loop-da-loop! You and your child will cheer as Spider-Man zooms. You can also remove the launcher and attach it to the STUNT CITY playset (sold separately). I recently learned about this great program for Walgreen’s called Balance Rewards. 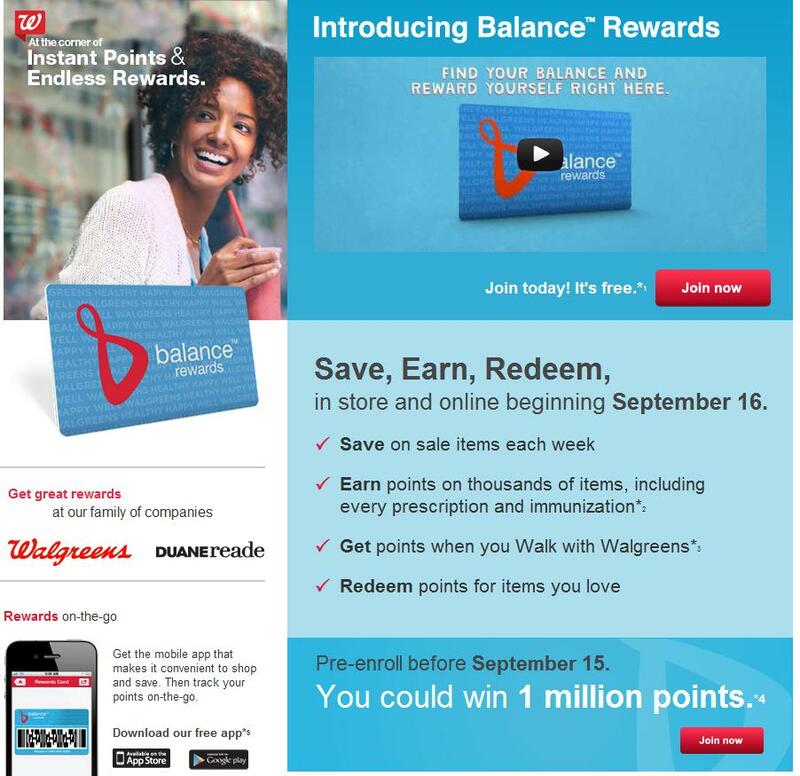 Their all new Loyalty Card Program, Walgreens Balance Rewards, allows you to save, earn, and redeem your points in store or online. It is really simple to sign up! 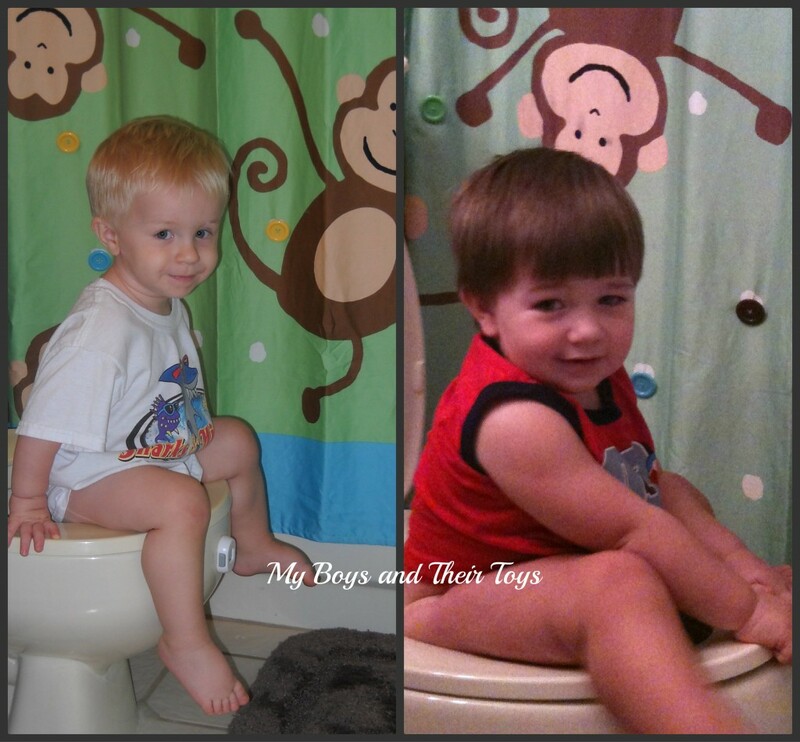 Wordless Wednesday-19 Months & Potty Time! Breaking news!! My baby boy went on the potty for the first time last Wednesday. He also turned 19 months on the 2nd so I went in search of a picture of both boys at the same age and you will not believe what I came up with….both boys on the pot at 19m! LOL! We are two weeks into the school year and my lil guy is still excited to go to school each day! That’s a good sign, right? 🙂 I’m pretty sure I was more nervous than him. My 4-year-old had spent the summer wishing it right along so he could start school. It was really cute. Meanwhile, I somewhat dreaded the school year because I knew there was an underlying issue that needed to be addressed. He also failed miserably at being a “daycare kid” because he had separation anxiety from age 4 months through his entire first year of life and then some. He only wanted Mommy, even grandparents couldn’t hold him, and it was rare he wanted Daddy either. So dropping him off at daycare every day for a year was very rough on me to say the least. After several discussions with my husband we agreed to make a family change and from that point on I was a stay at home Mom.